In my previous article, I discussed the implementation of neural networks using TensorFlow. Continuing the series of articles on neural network libraries, I have decided to throw light on Keras – supposedly the best deep learning library so far. 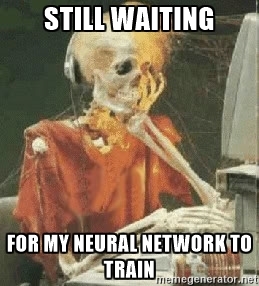 I have been working on deep learning for sometime now and according to me, the most difficult thing when dealing with Neural Networks is the never-ending range of parameters to tune. With increase in depth of a Neural Network, it becomes increasingly difficult to take care of all the parameters. Mostly, people rely on intuition and experience to tune it. In reality, research is still rampant on this topic. Thankfully we have Keras, which takes care of a lot of this hard work and provides an easier interface! 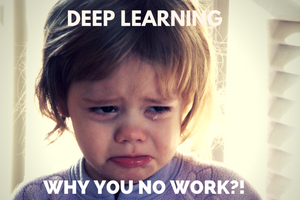 In this article, I am going to share my experience of working in deep learning. We will begin with an overview of Keras, its features and differentiation over other libraries. We will then, look at a simple implementation of neural networks in Keras. And then, I will take you through a hands-on exercise on parameter tuning in neural networks. Keras is a high level library, used specially for building neural network models. It is written in Python and is compatible with both Python – 2.7 & 3.5. Keras was specifically developed for fast execution of ideas. It has a simple and highly modular interface, which makes it easier to create even complex neural network models. This library abstracts low level libraries, namely Theano and TensorFlow so that, the user is free from “implementation details” of these libraries. Modularity : Modules necessary for building a neural network are included in a simple interface so that Keras is easier to use for the end user. Minimalistic : Implementation is short and concise. Extensibility : It’s very easy to write a new module for Keras and makes it suitable for advance research. In comparison to Theano and TensorFlow, it takes in all the advantages of both of these libraries and tries to give a better “user experience”. As Keras is a python library, it is more accessible to general public because of Python’s inherent simplicity as a programming language. A similar library in comparison to Keras is Lasagne, but having used both I can say that Keras is much easier to use. Given the above reasons, it is no surprise that Keras is increasingly becoming popular as a deep learning library. I think that having a dependency on low level libraries like Theano / TensorFlow is a double edged sword. This is because Keras cannot go “out of the realms” of these libraries. For example, both Theano and TensorFlow do not support GPUs other than Nvidia (currently). And hence, Keras too doesn’t have the corresponding support. Also unlike Lasagne, Keras completely abstracts the low level languages. So, it is less flexible when it comes to building custom operations. The last point I’ll make is that Keras is relatively new. The first version was released in early 2015, and it has undergone many changes since then. Although Keras is already used in production, but you should think twice before deploying keras models for productions. Neural networks is a special type of machine learning (ML) algorithm. So, like every ML algorithm, it follows the usual ML workflow of data preprocessing, model building and model evaluation. For the sake of conciseness, I have listed out a To-D0 list of how to approach a Neural Network problem. Define Neural Network architecture through whichever language / library you choose. Before starting this experiment, make sure you have Keras installed in your system. Refer the official installation guide. We will use tensorflow for backend, so make sure you have this done in your config file. If not, follow the steps given here. Our problem is an image recognition problem, to identify digits from a given 28 x 28 image. We have a subset of images for training and the rest for testing our model. So first, download the train and test files. The dataset contains a zipped file of all the images and both the train.csv and test.csv have the name of corresponding train and test images. Any additional features are not provided in the datasets, just the raw images are provided in ‘.png’ format. c) The first step is to set directory paths, for safekeeping! b) Let us see what our data looks like! We read our image and display it. a) Now comes the main part! Let us define our neural network architecture. We define a neural network with 3 layers input, hidden and output. The number of neurons in input and output are fixed, as the input is our 28 x 28 image and the output is a 10 x 1 vector representing the class. We take 50 neurons in the hidden layer. Here, we use Adam as our optimization algorithms, which is an efficient variant of Gradient Descent algorithm. There are a number of other optimizers available in keras (refer here). In case you don’t understand any of these terminologies, check out the article on fundamentals of neural network to know more in depth of how it works. I feel that, hyperparameter tuning is the hardest in neural network in comparison to any other machine learning algorithm. You would be insane to apply Grid Search, as there are numerous parameters when it comes to tuning a neural network. Also, there may be many more hyperparameters depending on the type of architecture. For example, if you use a convolutional neural network, you would have to look at hyperparameters like convolutional filter size, pooling value, etc. The best way to pick good parameters is to understand your problem domain. Research the previously applied techniques on your data, and most importantly ask experienced people for insights to the problem. It’s the only way you can try to ensure you get a “good enough” neural network model. 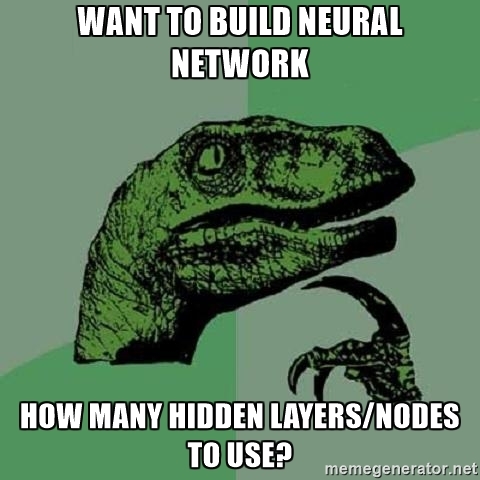 Let us take our knowledge of hyperparameters and start tweaking our neural network model. Any guesses on how this model would perform? Something seems off. It seems that our model is not performing well enough. One reason may be because we are not training our model to its full potential. Increase our training epochs to 50 and check it out! Well I’m excited to see what will happen. Are you? Yes! this is good. We see an increase in accuracy. (As an optional assignment, you could try increasing number of epochs to train more) Let’s try another thing, we make our model both deep and wide! We also implement all the tweaks that we learnt before. For the purpose of getting faster results, we reduce the training epochs. But you are free to increase them if you want. As a last tweak, we will try changing the type of our model. Until now we made multilayer perceptrons (MLP). Let’s now change it to a convolutional neural network. (To get an in-depth introduction to convolutional neural network (CNN), go through this article). One thing necessary for running a CNN is that it requires to be arranged in a specific format. So let’s reshape our data and feed it to our CNN. This result blows your mind, doesn’t it. Even with such small training time, the performance is way better! This proves that a better architecture can certainly boost your performance when dealing with neural networks. It’s time to let go of the training wheels. There’s many things you can try, so many tweaks to do. Try this on your end and let us know how it goes! Now, you have a basic overview of Keras and a hands-on experience of implementing neural networks. There is still much more you can do. 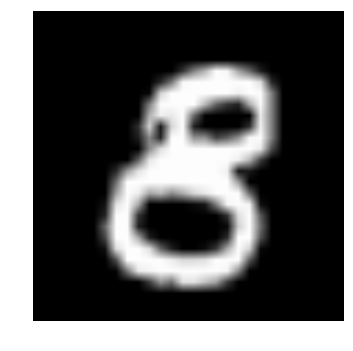 For example, I really like the implementation of keras to build image analogies. In this project, the authors train a neural network to understand an image, and recreate learnt attributes to another image. 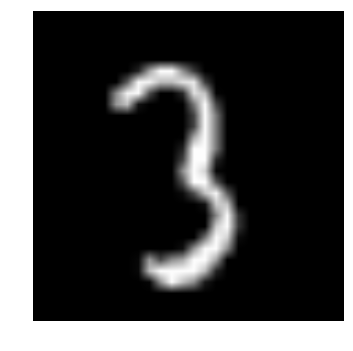 As seen below, the first two images are given as input, where the model trains on the first image and on giving input as second image, gives output as the third image. Neural network tuning is still considered as a “dark art”. So, don’t expect that you would get the best model in your first try. Build, evaluate and reiterate, this is how you would be a better neural network practitioner. Another point you should know that there are other methods to ensure that you would get a “good enough” neural network model without training it from scratch. Techniques like pre-training and transfer learning, are essential to know when you are implementing neural network models to solve real life problems. I hope you found this article helpful. Now, it’s time for you to practice and read as much as you can. Good luck! If you have any recommendations / suggestions on neural networks, I’d love to interact with you in comments. If you have any more doubts or queries feel to drop in your comments below. Try out the practice problem Identify the Digits yourself and let me know what was your experience. I have been following your posts on deep learning, they are simple and easy to follow. Could you please help me with the hardware (cost effective for students) requirement for deep learning, so that it can run data sets listed here https://github.com/ChristosChristofidis/awesome-deep-learning. Hello Venkat. Its great that your following the articles. Do hold on as there are may more of these to come! Can CNN be used for non-2D problem such as a general regression problem(one Y and many X)? If so, could you provide an example code? Sorry did not follow the reshape step. Did you follow this step? gives an error as the total size of new array should be unchanged. There must be an issue with the input you are giving. Could you print the original shape of train_x and revert back here? Where is dataset? How can I download it? I didn’t find the files (train.csv and test.csv) in the link above. Can you explain where they are? Maybe I need to convert the files in the link? I absolutely love your tutorial! But would you mind to give tutorial for how to tune the number of hidden layer? Hi thanks for helpful article! Q: can’t see usage of trained_model_5d in the code. Would be gr8 if explained briefly. When you call model.fit() function, it returns a history of training accuracies and losses over all the training epochs. This is helpful when you try to evaluate whether your model is learning or not. error:Input arrays should have the same number of samples as target arrays. Found 196000 input samples and 49000 target samples. Are you running the code on the same dataset or a different one? Hi , the output I get on this part of code is false . What exactly does this code do? May i please now whether is it possible to install keras in anaconda (python 3.6) on windows 10 ? Not able to extract csv dataset to train. Hi Balaji – you have to extract the train.zip file, which in turn gives you train.csv file and “train” folder. The “train” folder contains images to train from. Easiest way to learn Keras. Will recommend it to anyone. Very well explained.